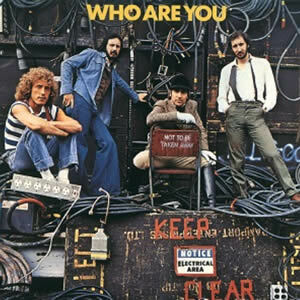 The Who‘s eighth overall and final studio album with drummer Keith Moon, 1978’s Who Are You marks a notable transition for the rock quartet. 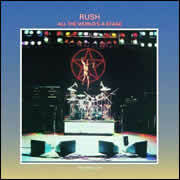 Here, the music is built on layered arrangements which heavily utilizes synthesizers while multiple styles are explored among the album’s ten tracks. Further, some of the lyrical themes draw from defunct theme albums from earlier in the 1970s such as Pete Townshend‘s Lifehouse and John Entwistle‘s 905. 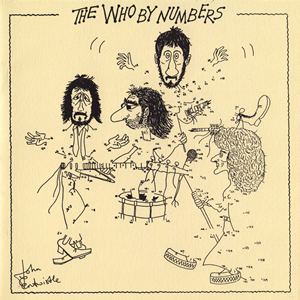 Through a five year span in the mid-1970s, the band recorded and released only one studio album, The Who by Numbers in 1975. This era was marred by disagreements among the band members over musical direction and the approach to live touring. However, they did work on several peripheral projects over this span, such as the Tommy motion picture in 1974 and the documentary film The Kids Are Alright in 1977 and 1978. Recording of Who Are You began in London in January 1978 with producers Glyn Johns & Jon Astley. 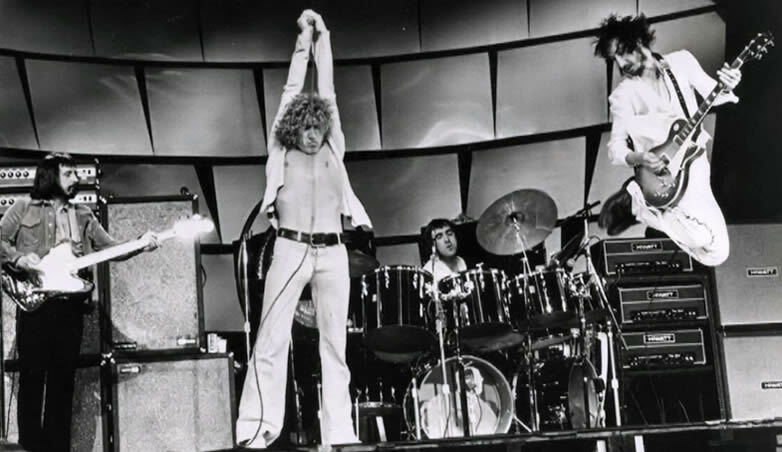 During production there were several personnel clashes as well as some issues with Moon’s playing and lead singer Roger Daltrey underwent throat surgery. Ironically, this was perhaps the strongest album vocally for Daltrey while being one of the weaker outputs by Townshend, the band’s traditional composer. It is obvious from beginning that this differs from any classic Who album with heavy synth presence from the jump on the opener “New Song”. Still, the multiple theatrical parts of this Townshend song show that there are still complex rock compositions on this Who album. 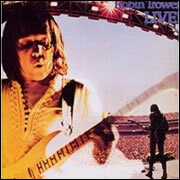 The next two tracks were originally intended for a defunct attempt of a rock opera by Entwistle. “Had Enough” has a synth-guided melody with steady, thumping bass and slightly animated drums by Moon. Released as a single from the album, the song features a full string orchestra arranged by Astley. A wild synth arpeggio gives way to strummed acoustic guitar and a steady rock beat on “905”. Here, Entwistle provides smooth and melodic lead vocals with a slight country/rock feel during the choruses, while employing a heavy sci-fi feel elsewhere. 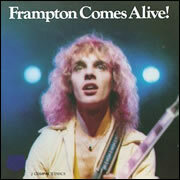 “Sister Disco” is the first song to lean towards classic era Who (or at least as far back as 1973’s Quadrophenia). This is also the first track to feature Townshend’s vocals as a co-lead vocalist while the music features moderate rock riff and beat with rapid, high string synths before the song dissolves with an extended solo acoustic outro. “Music Must Change” is a theatrical piece with many interesting changes. Here, Daltrey’s vocals show fantastic range on this jazz, Broadway blues track which completed the original first side of the album. Entwistle’s third songwriting contribution, “Trick of the Light”, may be the most straightforward rocker on the album with a hypnotizing, rotating rock riff accented by Moon’s mobile drumming and more strong vocals by Daltrey. Another highlight on the album, “Guitar and Pen”, has a straight-forward main riff in contrast to the odd-timed beats followed by much building to strong crescendos throughout. The song also features virtuoso piano playing by guest Rod Argent along with some generous but judicious use of synths throughout. “Love Is Coming Down” is a ballad with call and response vocals and some complex string orchestration. The album concludes with its climatic title song, which kicks off with a jazzy synth, slow dance beat and harmonized hook. The verses of “Who Are You” resort to pure rock with Moon exploring the rapid drum rolls and Daltry providing his most straining yet melodic vocals, while the bridge middle section explores many little musical minuets, including a slight piano lead by Argent. Released as a single, “Who Are You” reached the Top 20 in both the US and UK. During a break from recording this album in May 1978, The Who played live on a sound stage for a sequence in the upcoming documentary The Kids Are Alright, which turned out to be the final performance by the classic quartet which was formed in 1964. Moon died on September 6, 1978, about three weeks after the release of Who Are You. 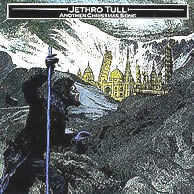 Part of Classic Rock Review’s celebration of 1978 albums. 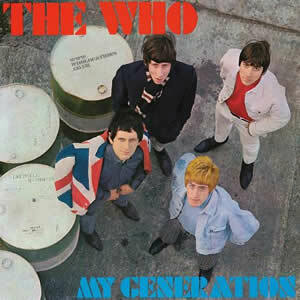 The Who released an impressive debut album in December 1965 with My Generation. 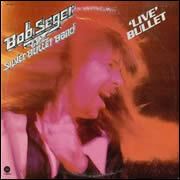 Although the group was initially dissatisfied with the album, it has grown in the past half century to be regarded as one of the pivotal rock albums of the mid sixties. With most songs composed by guitarist, Pete Townshend, along with a few select blues and funk covers, the album features a raw, hard rock sound and approach which may have been heavier than any on any popular rock album up to that point in time. Townshend grew up in a musical family outside London and met future bandmates, Roger Daltrey and John Entwistle in grammar school. Daltrey, who was a year older than the others, started the group The Detours in 1959 and soon recruited Entwistle into the band on bass. Although Daltrey played guitar originally, in 1961 Entwistle suggested Townshend be hired as guitarist with Daltrey moving to lead vocals. In early 1964, the group changed their name to The Who and brought on drummer Keith Moon to round out the classic quartet. Over the next year plus, The Who toured relentlessly and became a favorite band of the English “mod” movement. 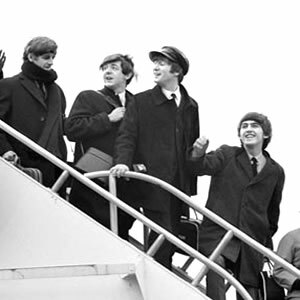 The group adopted mod fashion and lifestyle and even temporarily changed their name to, “The High Numbers”, for their initial 1964 single because management thought the name played better to their audience. Filmmakers Kit Lambert and Chris Stamp later took over as managers and encouraged the group to change their repertoire towards R&B, Motown, and soul with the new slogan “Maximum R&B”. 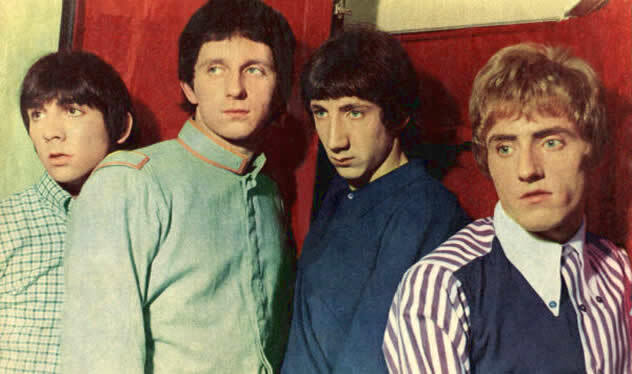 In late 1964, The Who recorded and released the song “I Can’t Explain”, which further expanded their sound to the raw, riff-driven sound made popular by The Kinks. My Generation reflects a confluence of these evolving early sounds by the group. 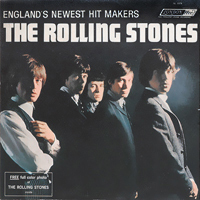 Produced by Shel Talmy, the album features songs released as singles earlier in 1965 along with a further mix of originals and cover songs which reflect their strongest live material. To kick off the album, “Out In the Street”, sounds like it has a false start by Daltry during intro, but when it does fully kick in it is a gritty rocker with driving rhythms and strong drumming by Moon. 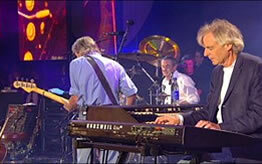 Later in the song they play with harmony arrangements, rudiments and guitar effects, making it an interesting listen. 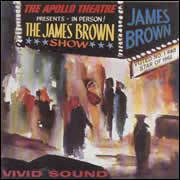 “I Don’t Mind”, follows as the first of two James Brown covers. Dramatic and soulful, the group again shows off their tight rock ability and style versatility. “The Good’s Gone”, is a unique, droning rocker built on sharp drum patterns and extended guitar chording by Townshend. 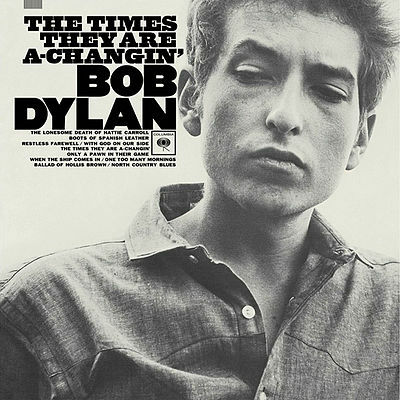 The song is repetitive but to great effect during verses and choruses with the tension finally relieved during the slight bridges, and this arrangement stretches it out beyond an almost-unheard-of-for-1965 four minutes in duration. “La-La-La-Lies”, is the first pure pop song on the album and it features a heavy piano presence by guest Nicky Hopkins along with rich backing harmonies throughout. The song failed to chart in the UK but was a significant hit in Sweden. While still entertaining, “Much Too Much”, is the first song to sound incomplete and the lead vocals melody seem to meander a bit. 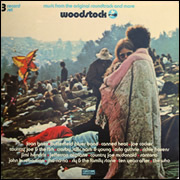 The title track, “My Generation”, is the obvious highlight of the side and album, as well as the strongest song for both Entwistle and Moon. Perhaps the first ever true punk song, it gives a heavy nod to teenage angst in general and the mod counterculture specifically. The song is distinct musically with Daltrey’s signature stutter through the verses, Entwistle’s fantastic bass lead, and a final verse which goes up a key to add intensity and climaxes in a wild, unhinged coda. 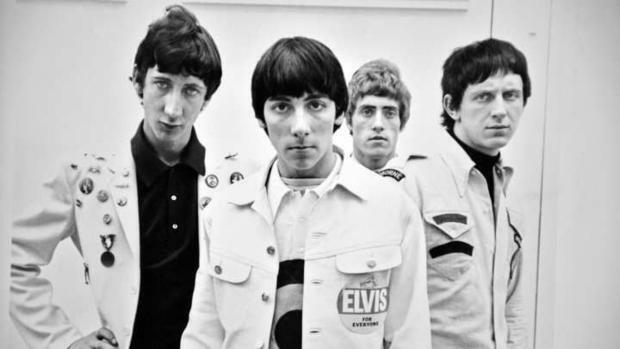 The song reached number 2 in the UK in October 1965 and is The Who’s highest charting single ever in their home country through a long and distinguished career. The second side begins with “The Kids Are Alright”, another indelible Who classic which features rhythm, melody and strong accessibility. The song also features musical interludes where Moon gets to wail on the drums, making this a precursor to many Who classics in years to come and was referred back to during an interlude part of 1973’s Quadrophenia. After this zenith, the album regress’s a bit starting with, “Please, Please, Please”, which sounds like it would have been an exciting live track but doesn’t quite translate on this studio record. “It’s Not True”, is an upbeat, Southern-style rocker with rich harmonies and lyrics more reflective of outlaw country, while the oft-covered Bo Diddley classic, “I’m a Man”, features fascinating blues vocals by Daltrey and a wild piano lead by Hopkins. The album does end strong with a couple of original and innovative tracks. “A Legal Matter”, is a frenzied rocker, sandwiched between an interesting guitar intro and outro and featuring pleasant and strong rock elements and melodies throughout. “The Ox”, closes the album as an improvised jam with Moon working off the floor tom drums of the Sufari’s 1963 classic “Wipeout” and Townshend, Entwistle, and Hopkins complementing each other throughout the improvisation. My Generation became a template for future garage rock, heavy metal and punk genres. However, The Who quickly moved on to forge their own distinct sound, starting with 1966’s A Quick One, with increasing elements of theatrical arrangements and philosophical themes which would elevate the group to ever-increasing heights. With both the successes and failures of conceptual rock operas behind them, The Who made a transitional record with 1975’s The Who By Numbers. The album contains some leftover tracks from early 1970s aborted projects, Lifehouse and Long Live Rock, along with a few other tracks which remain faithful to the group’s classic rock sound. Conversely, the rest of the album contains songs previewing the solo work of guitarist Pete Townshend, who would become an ever dominant force in the group. Following the success of 1969’s rock opera album, Tommy, the members of The Who were able to live comfortably for the first time. Townshend was actually embarrassed by his wealth and felt an immediate pressure to make an even more impressive follow-up. He conceived of the multi-media project, Lifehouse, and even booked a series of experimental concerts, but couldn’t convince his band mates of the merits of this project. Instead, Who’s Next featured the best songs composed for Lifehouse and became its own classic album. In May 1972, the group started and abandoned another proposed album called, Long Live Rock, causing tensions between Townshend and lead vocalist Roger Daltrey. Still, the band regrouped and recorded the fine 1973 double album, Quadrophenia, and spent much of 1974 working on the major motion picture version of Tommy, which earned Townshend an Oscar nomination for its score. 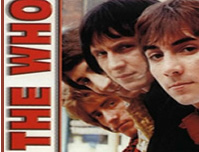 Townshend admits that, The Who By Numbers, was very difficult to compose and record as he suffered from writer’s block and a bout of depression as his 30th birthday approached. 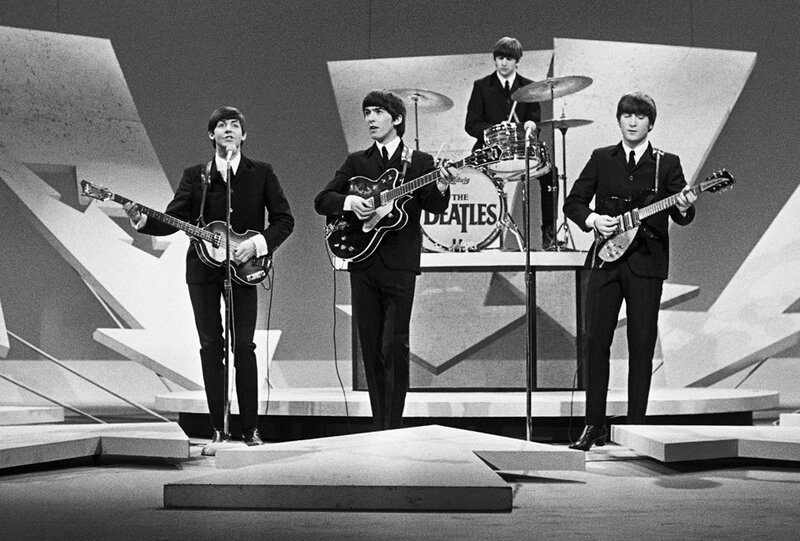 Produced by Glyn Johns, the sessions for the album were reportedly long and uninspired, only saved by the group’s stellar performances even when at their worst. The apathy of this project went so far that no one really cared about packaging, so bassist John Entwistle submitted the hand-drawn artwork which became the album’s cover. “Slip Kid” opens with and is built on a steady percussion which persists throughout without much further affirmative animation by drummer Keith Moon. Townshend provides crisp riffing throughout and a soaring guitar lead in the middle, with a post-lead interplay section between his pedal-effected guitars and the piano tickling of guest Nicky Hopkins. “However Much I Booze” features a bright acoustic, with bouncy bass and steady drums throughout the pleasant verses. Townshend takes lead vocals above an arrangement which is reflective of a traditional Who track in dynamics and theatrical vibe. “Squeeze Box” is the most popular track on The Who By Numbers as an upbeat and fun number with plenty of ethnic instrumentation including acoustic guitar, mandolin, and banjo lead, but no real “squeeze box” accordion except possibly during the sweet refrain section. The song was originally written for a proposed television appearance which didn’t materialize, but it did reach the Top 20 in the US and the Top 10 in the UK. Perhaps the peak level of the album comes with, “Dreaming from the Waist”, where Moon’s talent is finally unleashed at a top level of animation. Similar in tone and temperament to the tracks on, Quadrophenia, Daltry’s vocals are strong and direct during the upbeat verses with a mellower call and response during the choruses. The only real flaw on this track is that it fades out way too soon. “Imagine a Man” is a finger-picked acoustic folk ballad with heavy reverb on Townshend’s vocals and strong harmonies during the hook where Moon adds an intense drum roll which never resolves fully, more like an orchestral percussionist than a rock drummer. The album’s second side features more obscure, albeit interesting, selections. 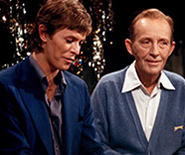 “Success Story” was written by Entwistle and features an easy three-chord rock riff and slightly humorous lyrics about the rock n’ roll lifestyle. “They Are All in Love” has a nice piano by Hopkins and a quasi-Irish folk feel overall. “Blue, Red and Grey” features a Townshend solo on ukulele and some swelling brass by Entwistle in the background, an overall quiet and personal reflection brought down to the smallest stage. 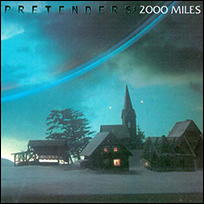 “How Many Friends” returns back to the more majestic, theatrical setting with overdubs of guitars and piano, while the closing “In a Hand or a Face” contains some of the most contemporary hard rock elements, with the real highlight being an intense hold on a climactic bass and drum fill. 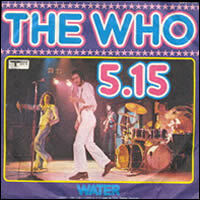 The Who by Numbers, peaked in the Top 10 album charts on both sides of the Atlantic. 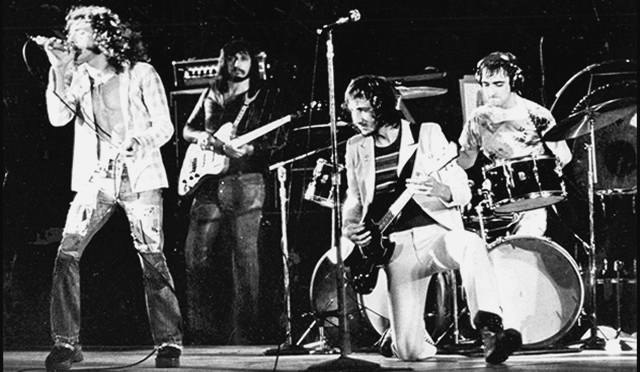 However, the group opted to play little material from the album during a subsequent tour, which included some record breaking concerts where The Who focused on their classic material. If any humble reader seeks to be enlightened to the ways of spiritual rock and roll I’d suggest they start with Tommy. The fourth studio album by The Who is a masterpiece that seamlessly blends both music and storytelling. It is far more developed than the Who’s 1967 concept album, The Who Sell Out, and more immediately accessible than their 1973 classic, Quadrophenia. Like all of the group’s late 1960s works, the album was produced by manager Kit Lambert and composed by guitarist Pete Townshend, whose writing was inspired by Meher Baba, an Indian spiritual master who had passed away earlier in 1969. I first encountered this album in its movie form of the same name. That movie starred lead singer Roger Daltry along with a star-studded cast, and could easily fill up its own review based on musical arrangements and cultural importance. I couldn’t have been more than 10 years old at the time but it somehow drew me right in. The impression of the film lasted into my years of teenage angst when I would rediscover the film and album by extension. This would lead me to my ultimate transcendental knowledge of The Who in all their magical glory. Now I will lead you my dear reader on the beginning of your own journey into the Who, or if you already know their might, perhaps you will simply enjoy reviewing this jewel of rock opera! Rock opera you ask? Musically, Tommy includes many throwbacks to classical opera. The album starts with a broad overture that includes themes that will appear later in the album. This is a staple of opera to this day. It dates back to at least the 17th Century but the Who were the band that brought it into 20th century progressive rock. Later in the album there is a track called “Underture” but this is not connected to classical opera as far as I know. It is an invention of Townshend’s, which essentially acts as a dividing instrumental in the album. Nevertheless, it adds to the album’s operatic vibe. Each character that appears in the album has their own song associated with them that gives the listener a good feeling for their essence portrayed both in music and lyrics. But on the subject of character I suppose we should move into this opera’s narrative. Do You Think It’s Alright? Tommy is a young boy born to Captain Walker and his wife prior to World War I. During the war, Walker goes missing and his wife takes up with another man. This leads to disaster, when Captain Walker returns from the war alive confronting and killing his wife’s lover. The parents tell young Tommy not to speak of the murder, which he witnessed, causing him to go into a catatonic state (deaf, dumb, and blind) for the majority of the album. He goes through various trials and tribulations as his parents cope with, and try to cure, his condition. During this time, the world catches wind of him as sensational pinball player. Finally, he regains awareness near the end of the album and attempts to spread what he learned from the experience only to find most people less than receptive to his teachings. It is a fairly straightforward plot and most listeners should have no problem following Tommy on his journey through the album, even if they have to refer to the song’s titles for guidance occasionally. Musically, the album varies but it is very hard to take individual songs and separate them from the larger narrative. 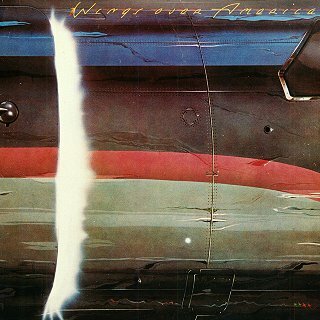 “Pinball Wizard” is a rare exception to this, as it stands fairly easily on its own as a singular song. 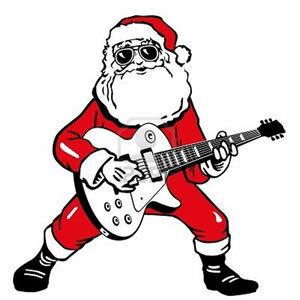 Also, the song “Christmas” developed a life of its own, even being included on my countdown of the Top 12 Christmas Rock Songs of all time on BigBlueBullfrog.com. It perfectly captures the spirit of children on Christmas while it also concerns Tommy’s parents worrying over their son’s inability to accept Christianity into his life. “1921” has some amazing vocal work and is the true start of the album as it is where Tommy’s parents tell him to “never tell a soul” of what he saw. 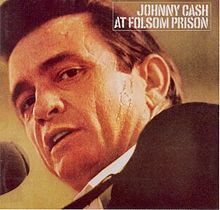 The best singular song on this album is “Sally Simpson” even though it is something of an anomaly on the album, as it does not directly concern Tommy nor is it told from his point of view. Instead, the song provides a side story involving a young woman who becomes infatuated with Tommy on a superficial school-girl level. She pays for the crush when she gets knocked out by security for rushing the stage. The song seems to be a warning against becoming obsessed with a cult of personality and carries a much clearer moral lesson than other tracks on the album. The Who utilized a variety of new musical arrangements and sounds throughout Tommy. Keith Moon‘s drums seem somewhat subdued on most of the album but when they show up, you definitely know it. 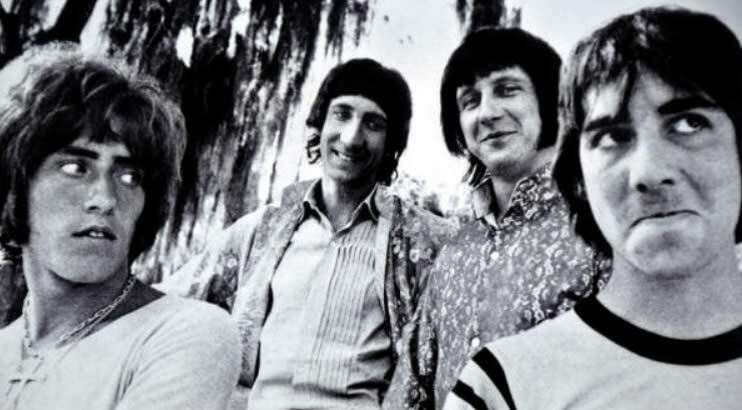 As he had in the past, bassist John Entwistle added brass instrumentation in strategic points on the album, even in a somewhat unnerving effect on “Fiddle About”, a song about Tommy being molested by his “wicked” Uncle Ernie. But Townshend is the true driving force behind the album, first recording the entire album with an acoustic guitar, giving it a somewhat lighter touch and organic feeling than many of the other Who albums. This also adds a sense of weight when the electric guitar shows up in songs like “Go to the Mirror”. Townshend also adds piano, which serves a large role throughout most of the album. It is prevalent in the short song, “There’s a Doctor”, (a role amusingly played by Jack Nicholson in the film). Tommy serves as a keystone for The Who’s career, successfully bridging their earlier work and their more serious and musically ambitious later works, and is certainly a classic of rock and roll being released in the famed year of 1969. 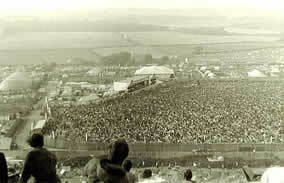 At Woodstock, the group performed songs from the album, which some said were the highlight of that classic festival. Serendipitously, the sun rose as Daltrey sang, “See Me, Feel Me”, leading Entwistle to joke that, “God was our lighting man”. For his next project, Townshend would attempt another Baba-influenced rock opera called, “Lifehouse”, which never quite worked out as intended, but morphed into the fantastic 1971 album Who’s Next. Tommy is a must hear for music enthusiasts, is historically significant to the annals of rock and roll, and is immensely satisfying to both your ears and your mind. 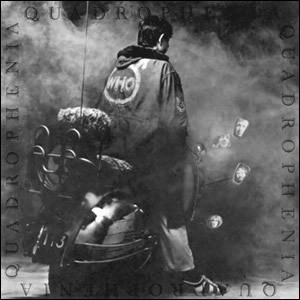 Quadrophenia completed the mega-creative trifecta for The Who, which peaked with Who’s Next in 1971 but was bookended by the two greatest rock operas ever – Tommy in 1969 and this album in 1973, both double albums. The term “Quadrophenia” was coined by the band’s sole composer Pete Townshend, as a play on the word “schizophrenia” with a specific meaning of someone with four distinct personalities. On a deeper level, the title was meant as a nod to the new quadrophonic sound (the earliest form of “surround sound” which never quite caught on in its day) and is also a representation of the four band members themselves. 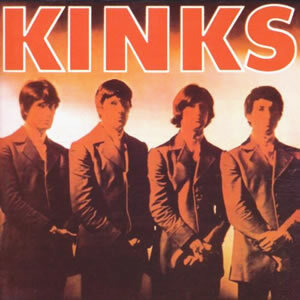 The linear story that runs through the album comes from the psychological perspective of an English teenager in the early 1960s, making the album also a loose tribute to the group’s earliest fans. Townshend has stated that the idea for Quadrophenia evolved from an idea for an autobiographical concept album titled “Rock Is Dead, Long Live Rock!” in 1972 with songs such as “Join Together”, “Relay” and “Long Live Rock” along with the first compositions that ended up on the album. Townshend instead decided to create a character named Jimmy with four personalities that reflected those of the band members, each associated with a “theme” which recurs throughout the album. 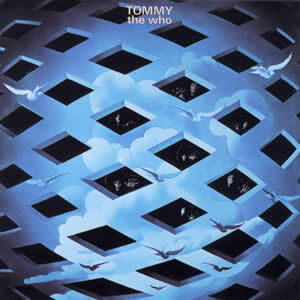 While not as cohesive or focused as Who’s Next and not as popular as Tommy, this may be the ultimate Who album due to its sheer breadth and ambition Townshend expanded fully from his traditional guitar-centric approach to include pianos and keyboards as prominent lead instruments. Meanwhile, lead vocalist Roger Daltry is in top form, carrying many of the songs while delicately working through the multiple character parts reflected in several of the extended songs. Further, Townshend considers this the best produced Who album ever, due in part to the professional techniques of Kit Lambert along with the innovative ones done by himself. The instrumental “I Am the Sea” acts as overture with snippets of vocals of future songs over ocean and rain sounds, Townshend went out and recorded these sounds personally at various locations in England. “The Real Me” is the first “real” song, driven by a guitar riff and an impressive bass performance by John Entwistle, which was recorded in one take. Lyrically, this song acts as an introduction to Jimmy Cooper, his four personalities, his visits to a psychiatrist, and his domestic situation. Another long instrumental follows with the title track “Quadrophenia”, which kind of distracts the listener by having another instrumental so close to the intro, especially since this one is so theatrical. The first side finishes with two very strong tunes. “Cut My Hair” is the first song to introduce a historical perspective, as the lyric details the Mod fashion and a radio broadcast near the end speaks of an actual riot in Brighton between Mods and Rockers. Sung by Townshend, this is a real good theatrical tune and contains great synth effects. “The Punk Meets the Godfather” is a pure climatic rock with great sound and lyrics and the first of several great performances on the album by drummer Keith Moon. In fact, this song may be “Exhibit A” that The Who can never really be The Who without Entwistle and Moon. 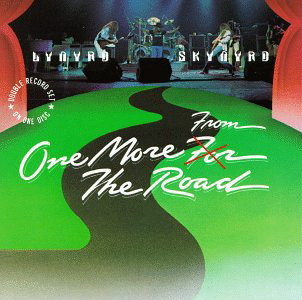 “I’m One” begins the original second side with a country-ish acoustic ballad with great ethereal guitar tone in the background, before it breaks into a much more upbeat tune. The introspective lyrics contemplate how the protagonist has not much going for him except for the Mod lifestyle. “The Dirty Jobs” is one of the great unheralded songs on Quadrophenia, led by a fantastic vocal performance by Daltry and innovative, melodic synths throughout, which pretty much replace guitars as the lead instrument on this song. “Helpless Dancer” is the oddest song on first two sides, a march-like approach with horns, piano, and a short acoustic part in the middle. All four members have a theme song relating to one of Jimmy’s personalities, and this one is Daltry’s theme as the “Tough Guy”. 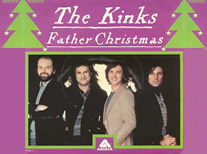 The song ends with a short snippet of one of the band’s earliest hits, “The Kids Are Alright”. “Is It in My Head?” is a moderate and catchy acoustic song, which leads to “I’ve Had Enough”. Going through several phases, like some of the extended pieces on Tommy, “I’ve Had Enough” morphs from from a driving rock verse to the string infused “Love Reign O’er Me” part to the banjo-led hook part. Daltry carries the tune vocally, aptly setting the differing moods of the song. One of the only “hits” on the album, “5:15” goes through a melodic journey telling a story that mainly observes the outside environment while traveling on a train. The song contains great horns, beautiful vocals, and especially great piano by guest Chris Stainton. The dramatic ending contains intense drums and thumping piano notes. The scene moves to Brighton with “Sea and Sand”, which alternates between folk-ish acoustic and pure, Who-style rock with lyrics that portray Jimmy’s affinity for the beach as an escape from the unpleasant realities of home and life in London. The narrative continues with “Drowned”, a philosophical theme about losing one’s self in the ocean, in a suicidal attempt to become one with God. 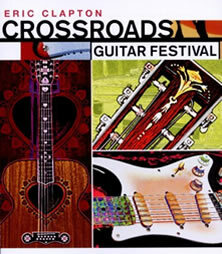 Set to upbeat music with great rotating piano, guitar licks, and more great drums. In fact, this may Moon’s best performance on the album, and that is saying something. “Drowned” is also the oldest song on Quadrophenia, initially written as an ode to Meher Baba in early 1970. Moon’s theme, “Bellboy” completes side three. It starts as a standard rocker with Daltry at vocals before the song gets taken over by Moon’s comical yet effective vocals. Lyrically it tells of a former Mod hero of Jimmy’s who has “sold out” and become a pathetic bellboy at a Brighton resort. Entwistle’s theme is the “Is It Me?” part of “Doctor Jimmy” (which also shows up at various points of the album). With synthesized fiddle effects, horns, and great bass, this ambiguous loose reference to “Doctor Jekyll and Mr. Hyde” speaks again of the multiple personalities running through the story, but with alcohol being catalyst for the change. The longest song on the album, Daltry effectively plays both roles vocally. 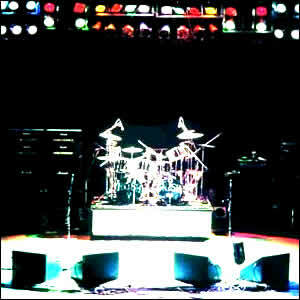 “The Rock” acts as both a long intro to final song and recap of much of the previous material, much like “Underture” from Tommy. In truth, “The Rock” is a bit of over-indulgent filler. The final song “Love, Reign O’er Me” is Townshend’s theme on the album, which again delves into the philosophy of Meher Baba as Jimmy finds his “true self” while on a stolen boat, during a storm in the sea. The song begins with some classical piano and orchestral instrumentations, later giving way to great synth effects and lead guitars, all by Townshend. But it is Daltry’s vocal performance which has gained the best critical response, with many considering this song the finest performance of his career. Quadrophenia reached #2 on the U.S. album charts, the highest ever for The Who, kept from the top spot by Elton John’s Goodbye Yellow Brick Road. In 1979, the film Quadrophenia was released but focused more on the story than the music, which was relegated to mere background during certain scenes. Although the band viewed the original tour in support of the album as disastrous due to ineffective techniques of including synthesizers live in 1973, they revisited Quadrophenia in the future with a dedicated tour in 1996, and most recently this past November (2012), where the album was played in its entirety along with a few selected hits during the encore. After establishing themselves as a successful singles band in the mid 1960s, The Who made a concerted effort to concentrate on making cohesive albums. 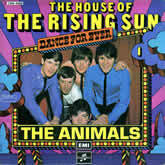 This all commenced with the 1966 album A Quick One and continued with their 1967 album The Who Sell Out. 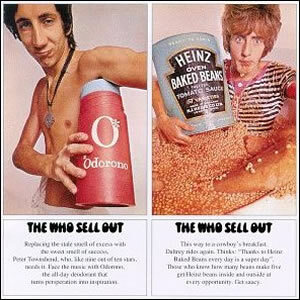 Differing from later (and more famous) concept albums by the band, The Who Sell Out is a collection of unrelated songs joined together by public service announcements and original commercial jingles composed by the band using actual commercial products. Another aspect of the album is its nod to pirate radio. 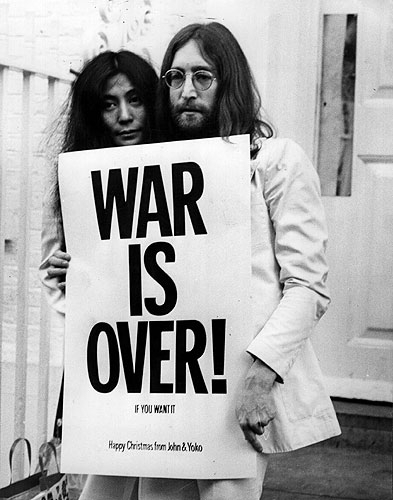 Differing opinions have the album either tributing or mocking (or both) the pirate radio station Radio London, which operated for three years on a ship before it was shut down earlier in 1967. Like the bulk of The Who’s material, the album was mainly conceived and written by guitarist Pete Townshend, but did include songwriting and vocal contributions from all band members. 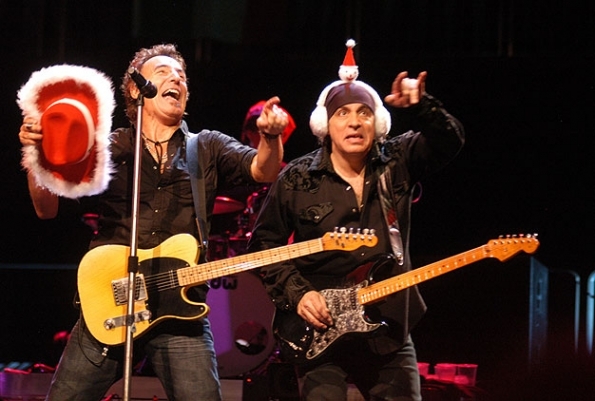 The band had originally tried to gain endorsement fees from some of the products named in the album’s “commercials”, but were unsuccessful in this attempt. In fact, the deodorant company Odorono took offense by this request for endorsement dollars. 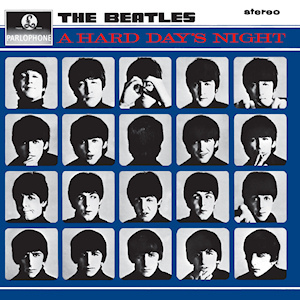 The album’s cover is divided into panels featuring a photograph of each of the band members, two on the front and two on the back. On the front is Townshend applying Odorono brand deodorant and lead vocalist Roger Daltrey sitting in a bathtub full of Heinz baked beans (from which he allegedly caught pneumonia after sitting for a prolonged period). 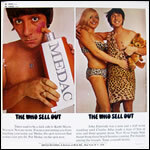 On the back is drummer Keith Moon applying Medac and bassist John Entwistle appearing as Charles Atlas. All products shown in these pictures were exaggerated in size. 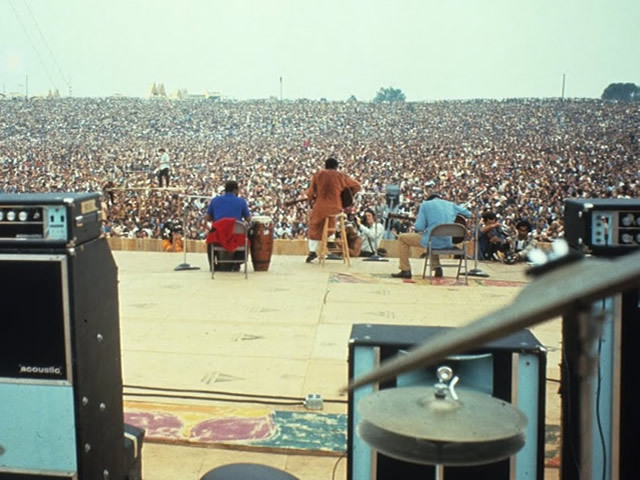 The album was recorded in several cities and over several months in 1967, a year of many legendary milestones for the band. 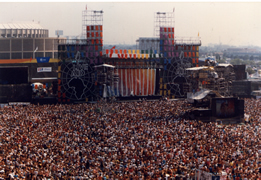 In June they put on a memorable performance at the Monterrey Pop Festival. 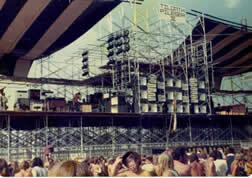 During the subsequent North American tour Moon drove a car into a swimming pool at a Holiday Inn (establishing his reputation as rock’s wild man) and during a performance on The Smothers Brothers television show, Moon packed his drums with explosives (unbeknownst to the other band members of the show’s producers) and the resulting explosion caused permanent damage to Townshend’s ear and hearing. 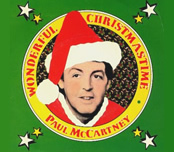 The album starts with the first of several “Radio London” jingles, this first one using a device called the Sonovox with the days of the week simply spoken. This segues to “Armenia City In the Sky”, a song by written by John Keene, a friend of the band and future member of Thunderclap Newman. Keene shares lead vocals with Daltrey above a very psychedelic sound with a driving rhythm. The comical “Heinz Baked Beans”, written and arranged by Entwistle follows with marching band horns and drums. Townshend’s “Mary Anne With The Shaky Hand” was recorded in three different versions with the album and single version featuring a driving acoustic guitar and much percussive overdubs, concluding with a frantic drum section by moon. An alternate version (included as a bonus track on most modern CDs) features a cool organ sound by session keyboardist Al Kooper. Following Moon’s drum chorus, the album version morphs into a full-fledged commercial for “Premier Drums” before breaking into the choppy and entertain, guitar-driven “Odorono”, which is structured much more like a proper song than one of the filler “commercials”. “Tattoo” was written by Townshend and sung by Daltry, and was autobiographical of their sometimes rocky relationship. The song features complex harmonies and moody guitars throughout. Another Radio London public service announcements bridges “Tattoo” with “Our Love Was”, a fine song with judicial use of brass and more fine guitar work by Townshend, including an innovative ‘slide’ guitar solo. A quick medley of three more “Radio London” spots, lead into “I Can See For Miles”, perhaps the most popular song from The Who Sell Out. Although the song reached the Top Ten on both sides of the Atlantic, it was a big disappointment for Townshend, who felt it was the “ultimate” Who record yet. The song is intense throughout with a low, sustaining guitar through the verses accompanied by Moon’s brilliant drum beats. The tension is broken by the soaring release of the melodic hook during the chorus, which is accented by twangy guitar notes like a beacon through space. The (original) album’s second side all but abandons the commercials and PSA’s for more Artistic Who songs that preview some of their upcoming rock operas, especially 1969’s Tommy. “I Can’t Reach You” was one of the first songs Townshend wrote on the piano, and provides a very melodic and easy-going counterpart to the intense “I Can See for Miles”. 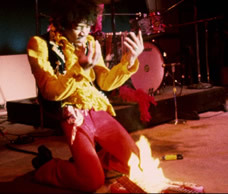 “Relax” features Townshend on organ, adding yet another element to the band’s increasing sound spectrum. Entwistle’s “Silas Stingy” is written in the traditional English folk song about his own “penny pinching” to buy his first home, while “Sunrise” is a solo track by Townshend featuring jazz chords on an acoustic guitar and very folk-like vocals and lyrics. “Rael 1” (or simply “Rael”) is a mini-suite which closes the original album. Starting with a marching beat and verse lead by Daltrey’s strong vocals. 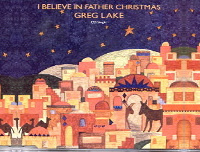 The song’s second section changes melody, guided by a constant organ and Moon’s driving drums. 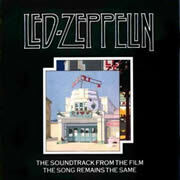 It then enters a section which would be reused on the next album Tommy as the instrumental “Underture” before returning to the original theme. Nearly as many tracks were left off The Who Sell Out as were included on the original album and most modern collections some or all of these. “Rael 2” is a short, church-hymn counterpart to the album’s closer, while “Melancholia” is an excellent and haunting song with layered guitars and a driving rhythm. Entwistle’s “Someone’s Coming” has a nice brass arrangement while the band’s psychedelic arrangement of “Hall Of The Mountain King” is a true lost gem in their catalog. 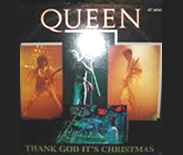 Among these bonus tracks are several unused “commercials” such as “Top Gear”, “Coke”, “John Mason’s Cars” and “Jaguar”, the original composition that sparked the album’s idea in Townshend in the first place. Although not as coherent and focused as the band’s next three albums (the finest of their career), The Who Sell Out definitively shows where they were heading at the end of 1967.